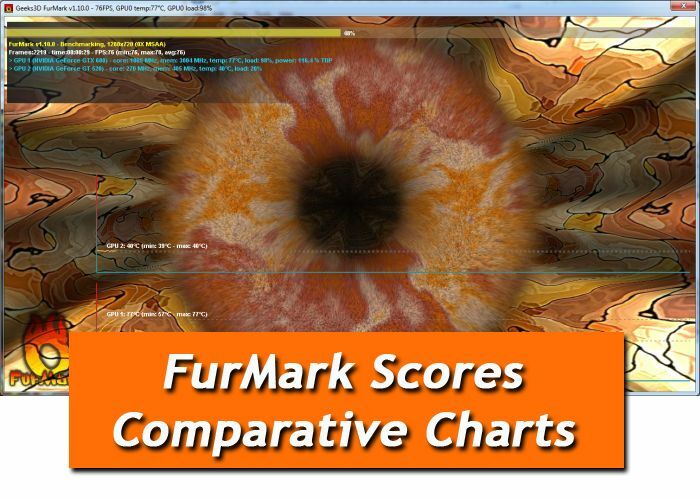 Comparative tables of FurMark scores (Preset:1080 and Preset:720) are now available HERE. In order to stress test and burn the new graphics cards you will receive for Xmas, here is an update of FurMark. 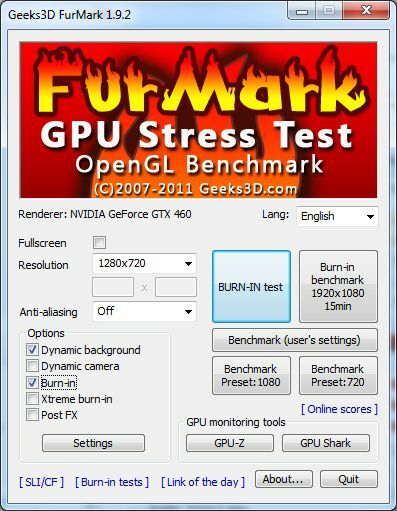 FurMark 1.9.2 brings some bugfixes, latest versions of GPU-Z and GPU Shark and a new benchmark mode: the burn-in benchmark. 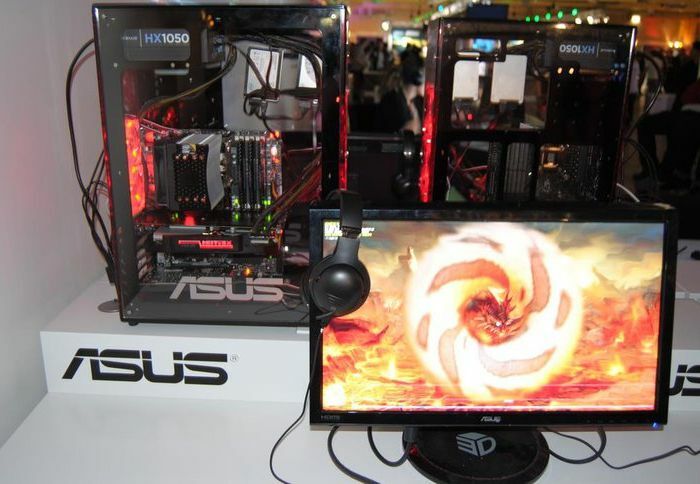 The aim of this benchmark is simple: get the highest score with the lowest GPU temperature. The benchmark lasts 15 minutes at a full HD resolution (1920×1080). Here is an example of score: Radeon HD 6970 (3630 points, 96°C). UPDATE: FurMark 1.10.0 is available with GTX 680 support. 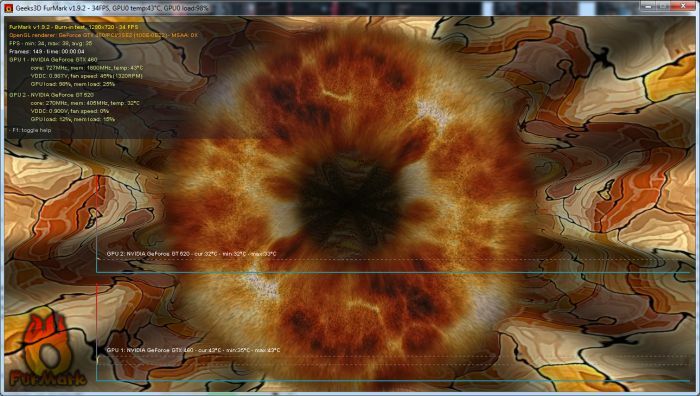 FurMark is an OpenGL-based GPU stress test utility (also called GPU burn-in test). It makes it possible to push the GPU to the max in order to test the stability of the graphics card (and the PSU too!) leading to maximal GPU and VRM temperatures. That’s why FurMark is often used by overclockers and graphics cards fanatics to validate an overclocking, to test a new VGA cooler or to check the max power consumption of a video card. New: support of latest NVIDIA GeForce and AMD Radeon cards (ZoomGPU 1.6.1). New: added new benchmark: the burn-in benchmark (1920×1080 only, duration:15 min). Goal: best score with the lowest GPU temperature. New: user can now submit a score with a login. Change: removed the /gtx500ocp checkbox. Bugfix: fixed a deadlock that hung FurMark sometimes at the end the tests. Sorry … but out of all those Google ads which fake the look of a Download button, I can’t find the real download link anymore. Please tidy up! thanks Adblock plus is awesome!! I fixed the link redirection. It doesnt work on Windows 8 64 bit. It just won’t start. No crashes, no nothing.